Omkar Sereno offers luxurious and premium lifestyle! Omkar Developers is a famous name in the real estate market as it has built your dreams into reality. The developers are offering 1 and 2-bed residencies at premium homes along with the comfortable lifestyle at Omkar Sereno. It is a wonderful opportunity to live in a place that is located in Andheri. Enjoy the luxurious lifestyle with the best architecture. This township is housing many towers within this project. The developers know the significance of a house in the lives of the people, therefore, they are providing the best Queen’s apartments as well as the condo. In this township, people can get the ownership of premium apartments of 1 BHK and 2 BHK at an excellent price. In fact, they will also help you in getting a home loan to possess the ownership of your dream house. The carpet size of 1 BHK varies from 362 sq. ft. The carpet size of 2 BHK starts from 503 sq. ft. There is also an option of Jodi with the option of 1+1 Jodi and 2+2 Jodi,whose carpet size ranges from 749 sq. ft. and 1006 sq. ft., respectively. The price for 1 BHK starts from Rs 87 lakhs to Rs 2.60 crores whereas, in the case of 2 BHK, it starts from Rs 1.28 crores. In the case of 1+1 BHK, the price is Rs 1.81 crores. For 2+2 BHK, the price is Rs 2.60 crores and above. The amenities provided by the developers on this project are amazing as you will more than 35 lifestyle amenities for your comfortable living. Getting so many amenities under one roof makes the place awesome to live and spend your rest of life in a luxurious manner. Omkar Sereno will give you everything which you wish for in your dreams. Getting sand volleyball court,play area for children, multipurpose hall, library space, table tennis, swimming pool, gymnasium, and so on within the campus will let you enjoy all of these. 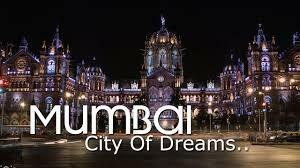 Getting your own house in such a prestigious location of Mumbai is a great thing. 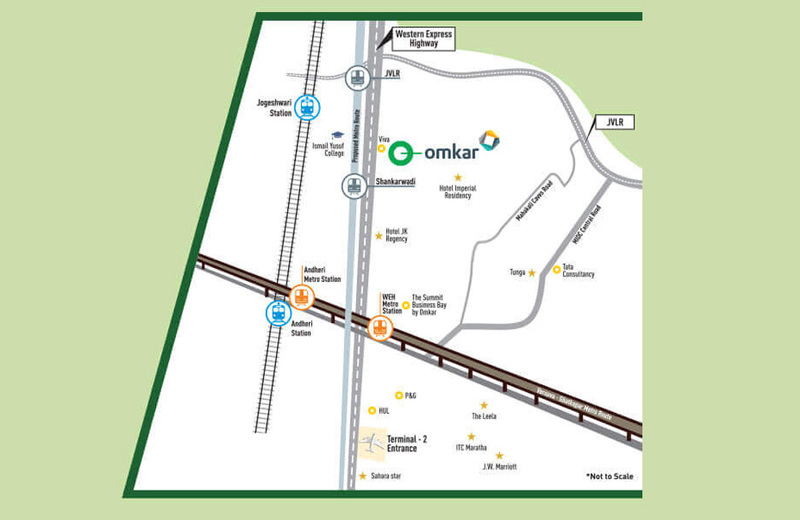 The access of Omkar Sereno Andheri connects to all major points in the city of Mumbai. You can have a close proximity to schools, colleges, hospitals, malls, commercial centers, and so on. It will take only 5-10 minutes to reach the airport. So, reaching anywhere in Mumbai is just a game fora few minutes. Owning a luxurious apartment in Andheri is a dream of everyone residing in Mumbai and getting this opportunity will always be a beneficial factor for you. Therefore, making an investment in such a wonderful project will never be a regretful idea. It will be surely a fruitful idea. This location is unbeatable and you should not miss this chance of owning an apartment in such a location of Mumbai.